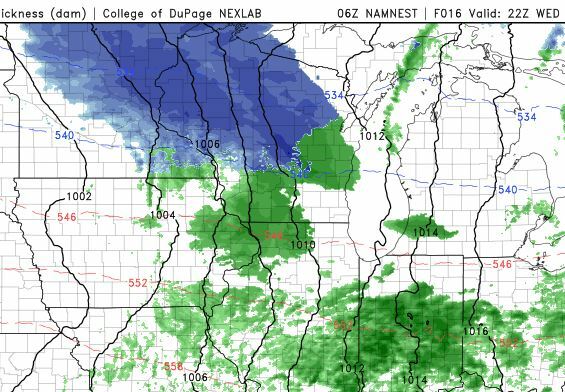 Another chance for snow in northern Wisconsin arrives today. A weak disturbance will kick off a variety of precipitation types from north to south, mostly snow north and rain south. 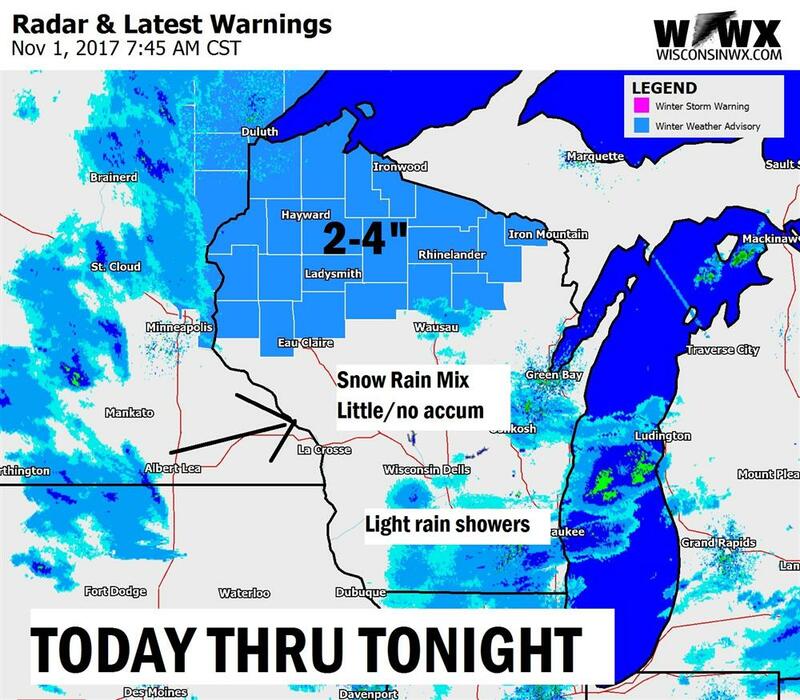 Due to the combination of accumulating snow at rush hour, a Winter Weather Advisory has been issued for northern Wisconsin. For central Wisconsin, temperatures are in the upper 20s and low 30s right now and expected to warm into the 40s later today. Precipitation will fall as snow north of HWY 21 so will be watching trends in that area should it become supportive of accumulation. The weather pattern will remain active into next week with multiple clipper-like systems sliding through Wisconsin.